It’s been a slow start to ski season but still pretty fun. More snow is on the way for the weekend. Vail has been dreaming, hoping and praying for a much whiter Christmas ever since opening day last month, but so far the snow gods have not smiled on the central Colorado Rockies. That appears to be changing just in time for the holidays. Gratz goes on to say the last 10 days of December look much more active and promising for consistent snowfall into the New Year. Let’s hope so, given that we are at least a couple of big storms away from opening the rest of Vail’s front side — let alone the Back Bowls. 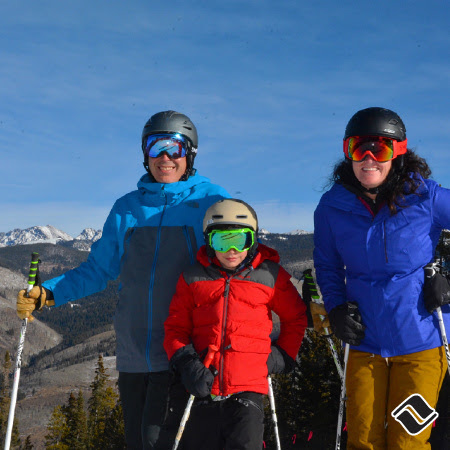 In an interview with RealVail.com earlier this month, six-time Olympic medalist Bode Miller said ski businesses need to start reconsidering the start of ski season based on changing climate conditions. Retired from racing with the most World Cup wins (33) and Olympic medals in U.S. ski-racing history, Miller is now an analyst with NBC, which will televise the 2018 Pyeongchang Winter Olympics in South Korea Feb. 9-25. Miller spoke out on a number of topics during a wide-ranging interview with RealVail.com that ran in the Colorado Spring Gazette. Auden Schendler, vice president of sustainability at Aspen Skiing Company, says the push by Colorado ski areas to open before Thanksgiving — or in some cases by Halloween — does not make sense. “I think if someone like us said, ‘Hey, we’re going to open Dec. 1 because Thanksgiving doesn’t make any sense,’ and what you do to do that is you cause all kinds of headaches. You hire people and then can’t put them on the hill and you spend a lot of time and energy making snow,” Schendler said. Kim Langmaid, a Vail Town Council member who’s spearheading the Eagle County Climate Action Collaborative, says the region has lost nearly a month of freezing days in recent years. “We definitely need to consider more year-round experiences,” said Langmaid, who’s also the founder of Walking Mountains Science Center in Avon. “Vail’s done a nice job adding the summer Epic Discovery programming. That’s probably not what a lot of diehard snow riders want to hear, but lately November has been a better mountain biking month than start of the ski season. Hopefully, new snow in Vail this week will make the rest of December more memorable, and then ring in the New Year in style.